Luna Field Farm | Local Manitoba grown pasture-raised and grass-fed meats. Local Manitoba grown pasture-raised & grass-fed meats. Grazing for soil & ecosystem health. Planned grazing for healthy land & good food. Order food direct from the farm. In a pastured poultry system birds are kept outside (seasonally). Portable shelters are used and the birds have access to fresh-growing palatable vegetation. The pastured poultry shelters are moved each day so that the chickens have access to fresh vegetation and so we can manage nutrient deposits on the land. From the time an animal is born to the time it reaches your dinner table we take great care to consider the wellbeing of that animal and the environment in which it’s raised. Calves are born on pasture in late spring/early summer and cows are grazed using planned grazing techniques whereby they have access to fresh pasture each day. Our sheep are raised on pasture and are 100% grassfed. All of our grassfed lambs are raised on mixed perennial pastures and finished on a mix of perennial and annual grasses and alfalfa hay. We use high density planned grazing, moving the sheep every few days, with the objective of raising strong healthy lambs while contributing to healthy soils and healthy pastures. Our pastured hens are raised seasonally, on pasture, where they roam during the day. We use portable hen houses that follow behind the cows and the sheep on pasture. Our pigs are raised in a pasture environment. Just as we do with the other animals on the farm, we move the pigs, changing the location of their paddock every couple of weeks. Through the use of regenerative agricultural practices we are committed to producing the highest quality pasture raised and grass fed meats in Manitoba. We strive to sustain a viable family farm operation with respect for the animals and the land we steward. We aim to work with nature to produce and deliver food that is good for the community and for you and your family. If you are not completely satisfied with your purchase we will arrange a refund on all unused frozen product. 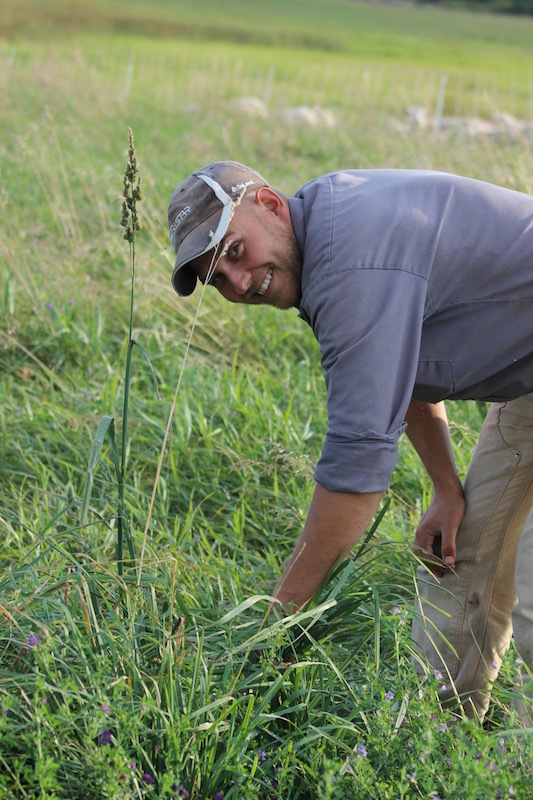 We want to work to provide you with the best grass-fed has to offer. We strive to produce food that you are excited about. The name Luna Field Farm is inspired by our Livestock Guardian Dog Luna, who faithfully guards our flock of sheep. She is our true shepherd. I am originally from Winnipeg. While I was a student at the University of Winnipeg I studied Environmental Science and Geography where I took an interest in systems ecology and soil sciences (nutrient cycling!) Later I earned my Master’s in Natural Resources Management with a research focus on rural livelihoods and gender. My studies have taken me to Mexico and Brazil where I gained an increased understanding and appreciation for agrarian livelihoods and small-scale agriculture. Through my learning and farming experience I have come to realize that pasture based farming and food production are viable livelihood activities for young people in Canada. 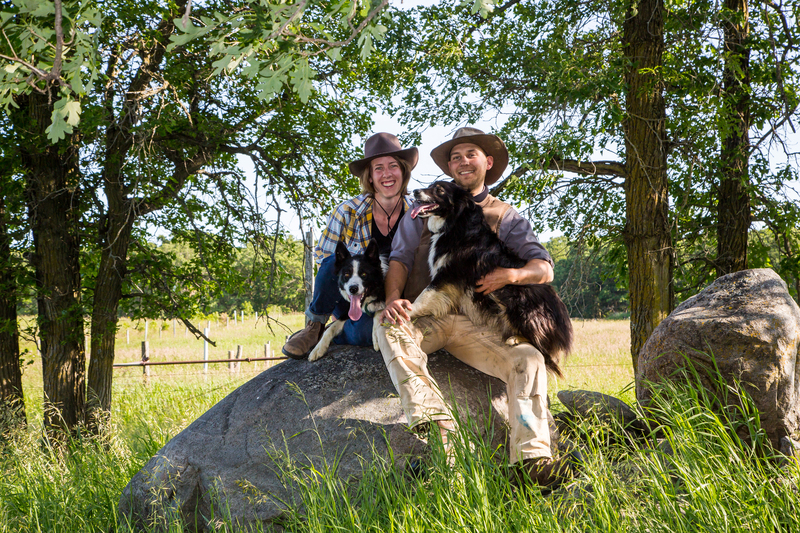 Farming allows Wian and I to work together, problem solve, learn from others, learn from our environment, and provide our community with healthy food. I am challenged everyday to make decisions that impact how we care for land, animals,family and friends. As long as I can remember I have wanted to graze livestock. I began farming in 2005 after moving to Canada from Pretoria, South Africa. From the age of 18 I studied during the winter months and farmed on rented land during the summer. Initially I focused on pastured poultry but dreamed of one day raising sheep and cattle on a mixed-livestock farm. I wanted to raise good food for people in my community. Over the past decade I have had the opportunity to raise chickens, turkeys, ducks, pigs, sheep, goats and cattle. Since the spring of 2012 Lydia and I have been farming in Western Manitoba where we raise our chickens and pigs on pasture use planned grazing management for our grassfed beef and lamb. I have found self directed-study, trial and error, mentorship and the direct application of attained skills to be the most rewarding learning tools. Our latest news via Facebook. We are now taking pre-order for our Fall 2019 offering of Grassfed beef. We are taking pre-orders for quarters, halves and whole beef animals as well as some of our smaller packages. We butcher beef seasonally off of grass and pre orders help us to manage our inventory and plan our deliveries. It also helps us know how many beef animals we can finish from year to year. Our land, including the grazing land we rent is most suitable for grazing cattle and so we hope to sell a few more beef from year to year. If you have had our beef and liked it please let your friends know. Also know that you are welcome to come and see our cattle and our farm! We will be sending out a newsletter re: Fall 2019 beef pre order in the coming week.